Kathleen Cheetham owns Petite Plus Patterns and in this handy book she distills her expertise for the benefit of petite-plus and plus size sewers. I don’t need to remind anyone that the Big 4 does not address the style and fitting needs of this group of sewers. Just go onto Pattern Review or Stitchers Guild and you’ll get sense of how big and underserved this market really is. SINGER has added its imprint to Kathleen’s new book Perfect Plus, Sew a Mix-and-Match Wardobe for Plus and Petite-Plus Sizes; and Jennifer Sauer, who many of us know from her sojourn at Threads, served as technical editor; her expertise is clearly evident in the high quality technical drawings and detailed photography. But I’m getting ahead of myself here, this book is not just a sewing instruction book; the first 30 pages are devoted to wardrobe planning. There is a useful questionnaire that helps to establish exactly what kind of wardrobe you need for your lifestyle based on how you spend your time and what types of clothes makes you feel good. I have to say that the design aspect of fashion sewing is to me the most challenging; that is, how to really avoid that “happy hands and home” look and really make garments that qualify as fashion. Kathleen provides a framework for a sewer that really de-mystifies the color and fabric selection process. 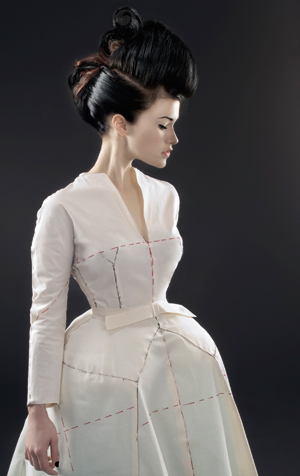 The actual process of sewing starts in chapter three, and included with the book is a set of tissue patterns for four garments, a blouse with cap sleeves, long sleeves and two collar variations, tailored pants, a flared skirt and a princess seam jacket. The size range in the patterns runs from petite-plus to full plus size 14 to 24. 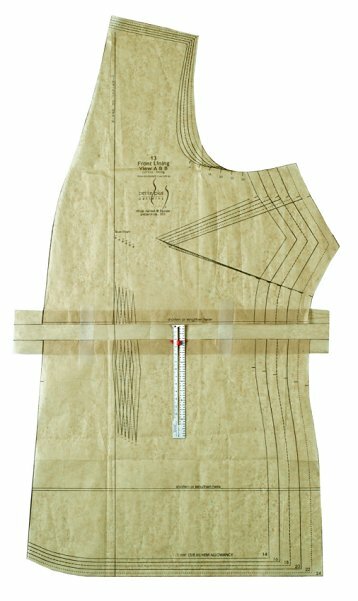 Kathleen’s sloper for these patterns is a D cup with a fuller tummy, but if your measurements differ she also includes excellent instructions for all types of alterations, including a full bust adjustment. The draft of the blouse and jacket sleeve is really impressive; its a two piece sleeve drafted for full upper arms. My only quibble with this wonderful book is the style of the patters; it’s on the conservative side and not even close to being fashion forward, however, I think savvy sewers will use these patterns as a base for adding style and detail. If you’re an intermediate or ambitious beginner sewer looking for a basic petite-plus or plus size wardrobe this book is great sewing room resource. Linda Grant at The Thoughtful Dresser blogged about this today and I literally went to the iTunes store at 6:30 this morning to buy this app! This is the best $2.99 I’ve ever spent. Touch Closet is an iPhone/iTouch app that organizes your closet and lets you put together outfits for future reference. And I think this will come in handy for fabric shopping too because I can look at my accessories while I’m shopping on-line; I can also use it to really plan my sewing projects because I can put together outfits of, say, a fabric swatch, a photo or technical drawing from the pattern company web site, shoes, bags and jewelery. It’s easy to sync photos of your sewing project photos to the device and I’ve also sync’d saved photos of items I bought on-line. This is so cool.